London, UK. 1st October 2018. 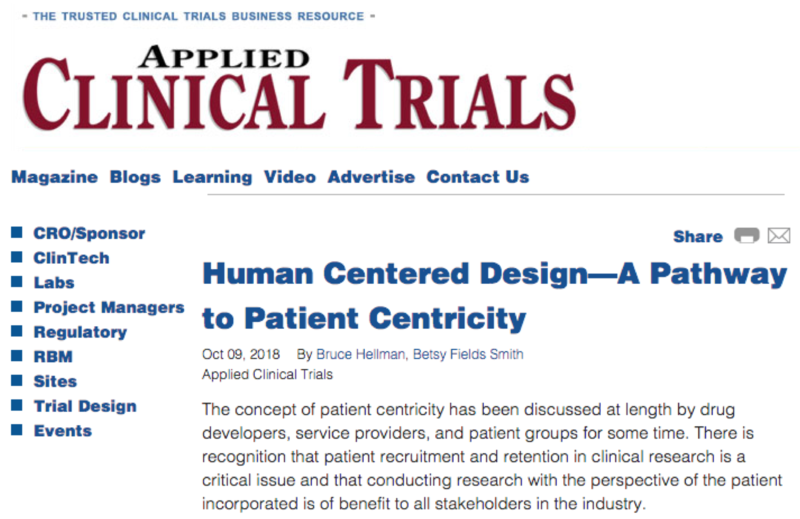 Bruce Hellman, uMotif CEO and Betsy Fields Smith, Portfolio Director at IDEO explore technology's role in patient centricity in pharmaceutical research in their new article featured in Applied Clinical Trials. Patient centricity must be a thing of substance and not a gimmick tacked at the end of a study that has already been designed. They believe that this doesn't deliver patient centricity – it's an attempt to carry on with business-as-usual. Bruce and Betsy propose a human centred design process, beginning with a product for patients and then realising its value at the other end of the chain, works for everyone.